Rhodes was born in Mount Hope, West Virginia, in 1939, though his family soon relocated to Detroit. At age 9, a new classmate named Glenda Ann Bush introduced Rhodes to tap. The two became a duo known as Buddy and Glenda Ann (Rhodes went by the moniker Buddy until Robert Joffrey renamed him Larry in the 1960s), and performed at functions around the city. 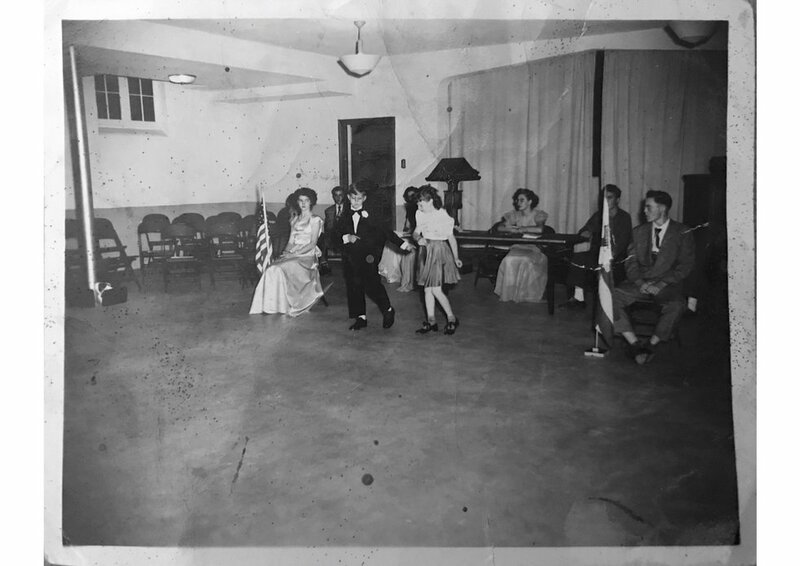 Though Rhodes took dance classes from Ruth Miltimore, he didn't start studying ballet in earnest until seeing a performance of Ballet Theatre at age 14. Combined with a love for The Red Shoes and all things Hollywood glamour, watching Alicia Alonso and Igor Youskevitch in Swan Lake sealed the deal. He started training with Violette Armand, and spent the summer of 1956 dancing on a tour of midwestern state fairs with the Chicago-based teacher Dorothy Hild. Determined to make his way to New York, Rhodes finished high school early; he was the first man in his family to graduate. He worked for six months at the Chicago Theatrical Shoe Company to earn money to support himself, and on July 4, 1957 (a date he found particularly fitting), Rhodes arrived in the big city with $400 in his pocket and walked straight to the Ballet Russe School. While studying at the Ballet Russe School under teachers including Leon Danielian and Frederic Franklin, Rhodes soaked up as much art as the city could offer. He and his friends frequently "second acted" shows, sneaking in at intermission and snagging empty seats. In 1958, only one year after arriving in New York City, Rhodes was accepted into the Ballet Russe de Monte Carlo as a corps dancer, and adjusted to the grueling schedule of one month of rehearsal followed by six months on the road. At the end of his second year, Rhodes started studying with Robert Joffrey, and was invited to join his company. Rhodes' time in The Joffrey Ballet was marked by its founder's focus on creativity. In 1962, the heiress Rebekah Harkness came on board as its primary sponsor and brought in a host of new works, most notably Brian MacDonald's Time Out of Mind. Tensions between Joffrey and Harkness grew, and two years later they parted ways; Rhodes, along with many other Joffrey dancers, accepted an offer to join the new Harkness Ballet. During these years Rhodes flourished on the stage: He received rave reviews in Stuart Hodes' The Abyss, John Butler's Sebastian and After Eden, and Rudy van Dantzig's Monument for a Dead Boy. In 1967 The New York Times critic Don McDonagh wrote of Sebastian, "Mr Rhodes's intensity is allowed full sway and he dominates the ballet. Emotion is the life blood of the work and no one on the ballet stage is capable of generating as much of it as Mr. Rhodes." In 1967, at the age of 28, Rhodes took over as the director of the Harkness Ballet, balancing responsibilities onstage and off until its demise in 1970. Shortly after, Rhodes married his longtime colleague, the celebrated Danish ballerina Lone Isaksen. Rhodes and Isaksen spent the following year dancing with the Dutch National Ballet before returning to New York for the birth of their son, Mark. For the bulk of the 1970s, Rhodes worked as a guest artist. He danced for Pennsylvania Ballet, Dennis Wayne's Dancers and the Feld Ballet, and toured with the ballerinas Naomi Sorkin and Anne Marie de Angelo; for two years he was the co-director of Milwaukee Ballet. 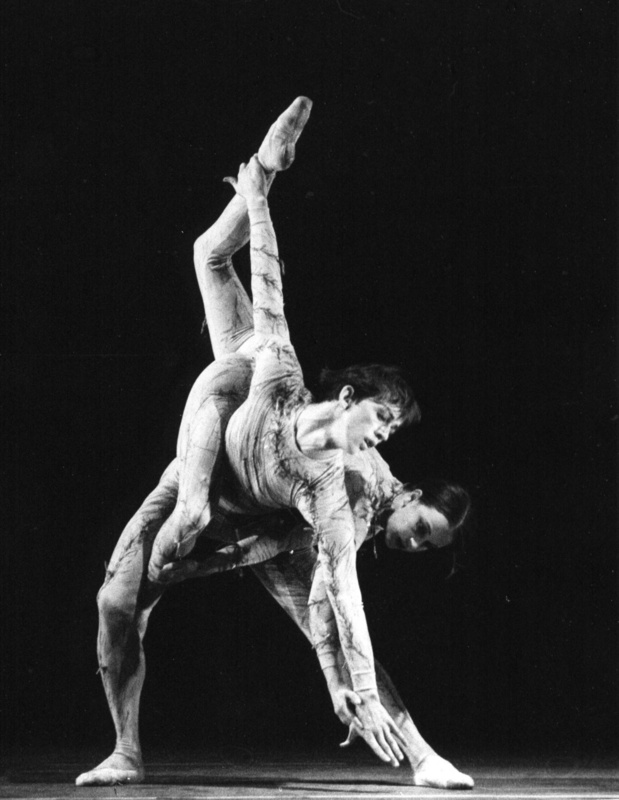 In 1974, he began touring with Carla Fracci in Italy, as the Albrecht to her Giselle and as Mercutio in Romeo and Juliet. During this time, Rhodes gave daily class to Fracci's dancers and developed a keen interest in teaching. In 1978, after a particularly spirited performance of Mercutio, he retired from the stage. Rhodes spent the next decade at New York University, first as a faculty member and then as the chair of the dance department. He focused his efforts on professionalizing the program, condensing the undergraduate degree from four years to three and revamping the MFA offerings with the help of Deborah Jowitt. Rhodes also revived the Second Avenue Dance Company and made it mandatory for all students in their final year; his legacy remains today. Rhodes relied on his vast network to bring in new choreographers, including, in 1986, a young Ohad Naharin. In 1989, Rhodes segued back to ballet, and became the artistic director of Les Grands Ballet Canadiens de Montreal, where he remained until 1999, working to cultivate relationships with choreographers including James Kudelka, Nacho Duato, Jiří Kylián and William Forsythe. He spent his summers guest teaching around the world, namely at Nederlands Dans Theater, Ballet Frankfurt and Lyon Opera Ballet, where he returned each year until his death. In the summer of 2002, Rhodes became the head of The Juilliard School's dance division, a position he held until 2017. He worked to streamline the curriculum and increase performance opportunities by creating New Dances, a yearly concert giving each dancer in the school the chance to engage in the choreographic process. The list of choreographers that Rhodes brought to Juilliard reads like a who's who of the contemporary dance world. In the early years of the project alone, Rhodes welcomed Jessica Lang, Robert Battle, Dwight Rhoden, Aszure Barton and many more. Another highlight of his Juilliard tenure were three major performance tours both around the US and in Europe. Rhodes was feted for his immense contributions to the school after 2017's New Dances program. Just a few weeks before he passed away, Rhodes emailed me with an idea for the title of his memoir: "I remember a woman in Mexico saying to me after a performance, 'nacido para bailar,' which translates to 'Born to Dance,'" he wrote. "I thought it was as good a compliment as one could receive."